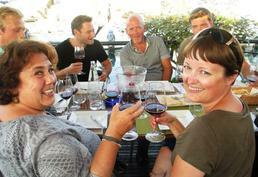 The language school Centro Mediterraneo Pintadera was founded in Alghero (Sardinia), Italy in 2004. 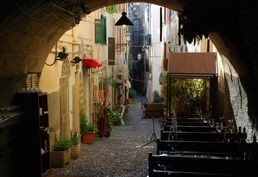 Pintadera is located in the pedestrian heart of the old town of Alghero in a small and picturesque alley. Pintadera is authorized by the University of Siena as an exam center for the CILS exam. In 2019 (including national and regional bank holidays): 01.Jan.2019, 06.Jan.2019, 22.Apr.2019, 25.Apr.2019, 01.May.2019, 02.Jun.2019, 15.Aug.2019, 01.Nov.2019, 08.Dec.2019, 25.Dec.2019, 26.Dec.2019. The heart of Pintadera’s Italian program is the Lingua group language course with a maximum enrolment of 8 students per class. The lessons are normally divided into two parts with a different teacher guiding each segment. The first part emphasizes Italian grammar and structure. The second part focuses on the application and exercise of these linguistic rules in real life settings. During the summer months, Pintadera offers an Italian language course for children. One course is held in the late afternoon. Simple vocabulary, notions and phrases are provided and practiced most often in the context of a game. Minimum requirement is 3 participants. This course offers the student a thorough preparation in relation to the different skills required to sit the CILS exams. The course consists of 20 hours a week of group lessons (3-8 people) of the intensive "Lingua" course plus 10 hours of private tuition in the afternoon, geared towards the CILS exam. 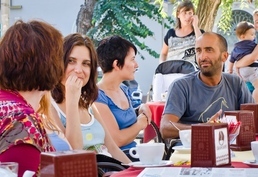 For shorter stays, weekly AllegraMente programmes are offered, the special late afternoon/early evening course for holidaymakers who want to better know the people and town of Alghero. The course concentrates on acquiring basic notions of Italian to aid and enrich communications with locals in restaurants, bars and shops. 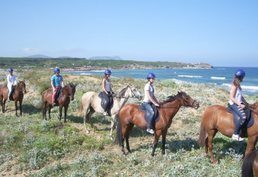 AllegraMente offers insights into the Sardinian way of life and makes learning an active and edifying holiday joy. 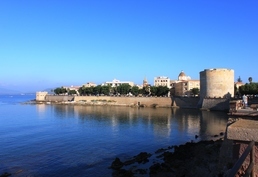 Alghero - Walled-City: a walking tour learning the history and architecture of the old town. The Nuraghic Civilisation: This lesson focuses on the mysterious Nuraghic people, their development and their equally inexplicable disappearance. The Dark Side of Sardinia – Banditry: Learn about the link between the isolation of the island and criminality, and the culture of kidnapping and vendetta. Carneval (Mardi Gras): Learn about the traditional carnival. The Rites of Holy Week: Where traditions mingle with local mystical religious customs. Coral, Alghero’s red gold: Visit the local coral workshops, among the most exquisite in the region. Craftwork: Textiles, Ceramics and metalwork. Music: Travel through Italian music from the 70s to today, enjoying music from Claudio Gabriel Sanna. Sign-language: Learn how to speak like an Italian, using hand gestures just like the locals. Vie del Gusto (Sardinian flavors): Enjoy Sardinian flavours such as cheese, salami and more as you visit markets of typical local shops. Note: All courses offered by Centro Mediterraneo Pintadera, Alghero (Sardinia) can be reserved online with LanguageCourse.Net. In case a course is not listed above, just mention the course description in the comment field of the online registration form. Individual classesSingle individual lessons of tuition can be reserved at 40.00 €. The combination of group and individual lessons is highly recommended. Individual lessons will encourage you to actively speak the foreign language and will offer you the opportunity to discuss individual problems and weaknesses. 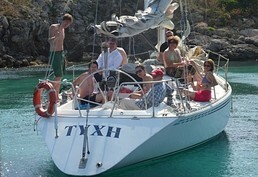 Comments about courses:Private lessons are 60 minutes and cost EUR 40 . Two-to-One semi-private lessons cost EUR 60. 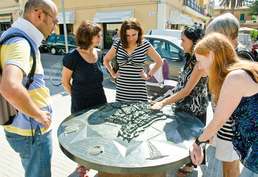 Do you know someone in particular with whom you would love to explore life in Alghero (Sardinia)? Just tag them in your post to Facebook or send them a link to this page in a message or email. A PDF with a quote for Centro Mediterraneo Pintadera is being sent to your email. Keep it for your reference or share it with someone else if you like. Your query has been sent to Centro Mediterraneo Pintadera to confirm availability of your chosen course on your requested dates. Request sent to Centro Mediterraneo Pintadera.